Welcome to the world of Naim pre/power amplification. 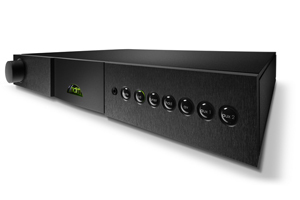 The 152 XS is a superbly compact and flexible design, able to power an external phonostage and accept the usual Naim power supply upgrades that lead to much greater performance. This terrific, stylish preamp can form the centre piece of a very complex system for a long time.